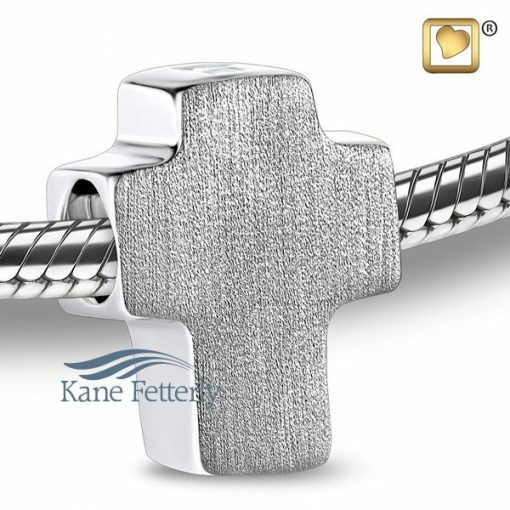 Cross bead in .925 sterling silver, rhodium plated, polished and brushed finish. Bead available with bracelet, bracelet sold separately. 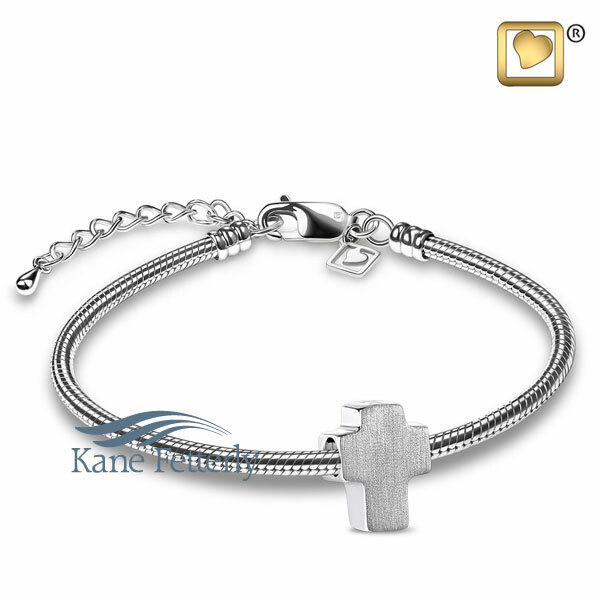 Bracelet in .925 sterling silver, rhodium polished, 7” long adjustable to 9”.